99c SALE!!! Defying Her Mafioso by Terri Anne Browning is on sale for a limited time only!!! NOW LIVE!!! 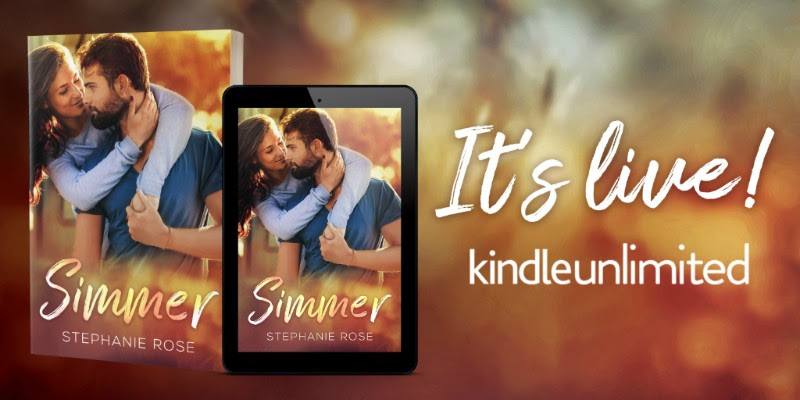 Simmer by Stephanie Rose is only $2.99 for a limited time + FREE in KU!!! My life was always at a simmer… only stewing, never going anywhere. I was left to fend for myself when it came to affection or love, so I learned to go without. I refused to let them see how broken and lonely I was; it was much easier to hide behind a false reality. I didn’t want anyone’s pity. I didn’t need it. Pity wouldn’t put food on the table or keep a roof over our heads. That was all me. Now, I have a second chance at a dream long forgotten. It demands hard work and sacrifice—with absolutely no distractions. A recipe I already know all too well, raising a daughter on my own. Drew Kostas is everything I’ve ever wanted but couldn’t let myself have. He’s younger, gorgeous, charming—and relentless. He sees beyond the hardened shell I’ve built to protect myself, coaxing out a softer me I don’t recognize. It doesn’t matter how I melt in his presence when the heat between us threatens to boil over. That’s the thing about heat. When it rises, everyone gets burned. Have you heard of the Wolfpack? If not, you should join if you love shifter romances! Here is some sales and freebies from them! This is a great way to stock up on summer reads…lots of 99c deals and a few that are fr-e-e.
99c EBOOK SALE & AUDIOBOOK SALE!!! 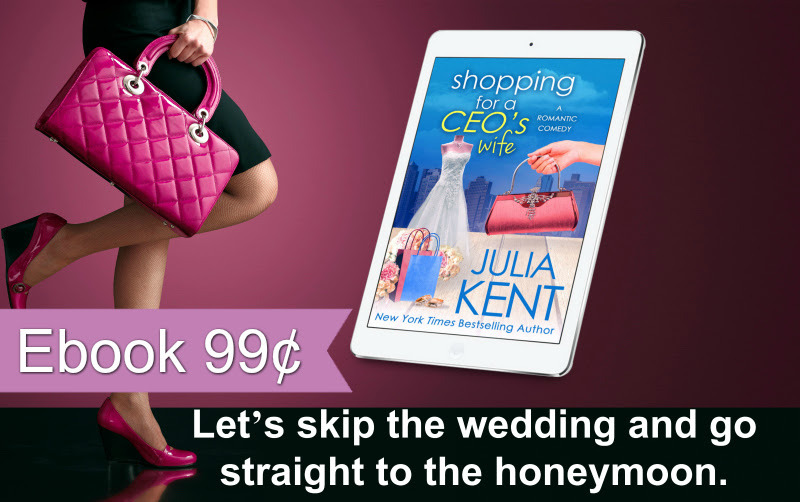 Shopping for a CEO’s Wife by Julia Kent is only 99c for a limited time for the ebook & $4.95 for audio!!! NEW!!! Flash by Malorie Verdant is available now & only $2.99 for a limited time!! !